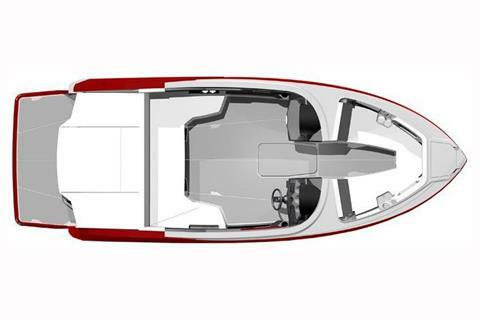 We’ve combined the best attributes of the Forward Drive wake technologies with the luxury style and performance of the Monterey Super Sport series to launch the perfect luxury performance surf boat, delivering world-class wakes with responsive handling, while still maintaining the same high-end performance and quality that Monterey is known for. 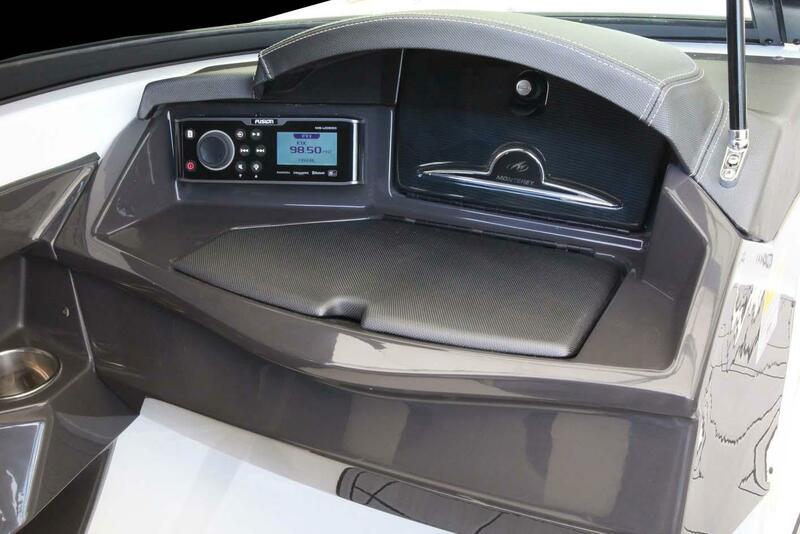 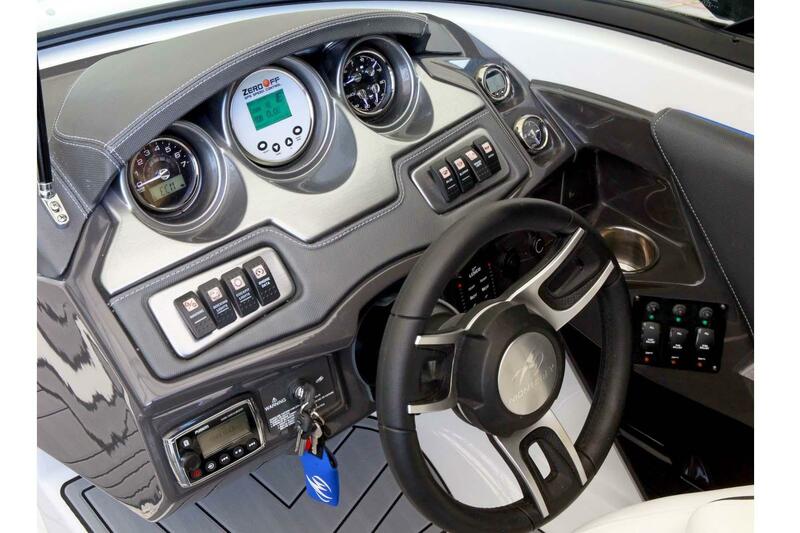 Our Surf Package option starts with Volvo Penta’s revolutionary Forward Drive, an innovative helm design featuring one touch Zero Off GPS speed control, a high volume ballast system, and Wake WorX Surf Tabs. 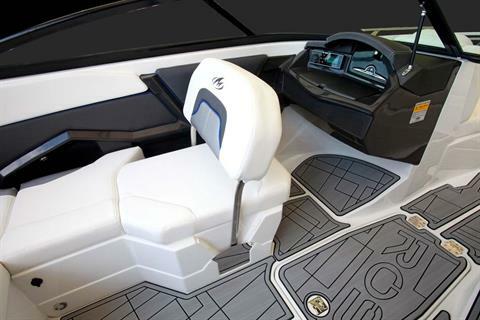 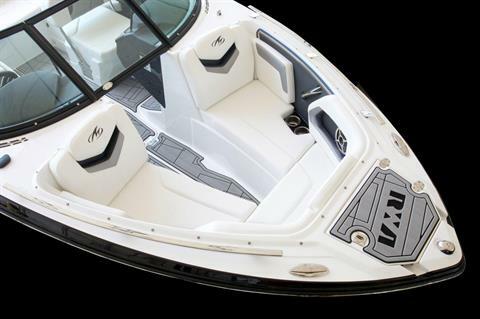 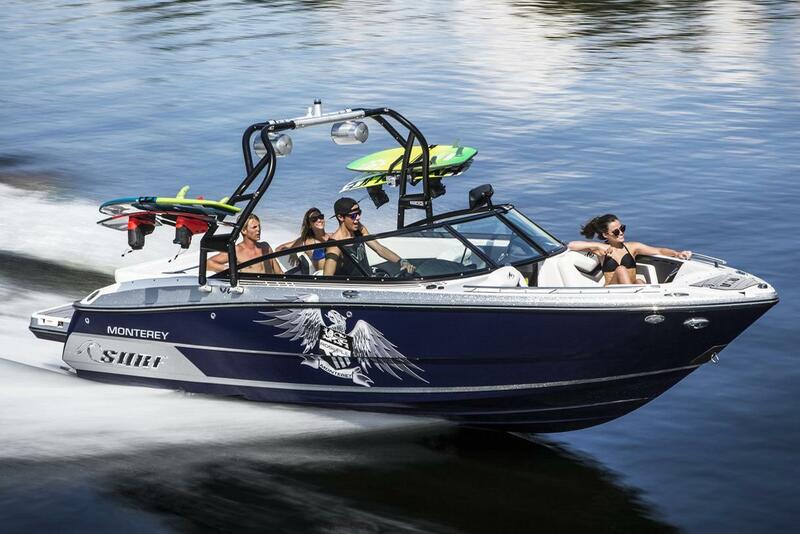 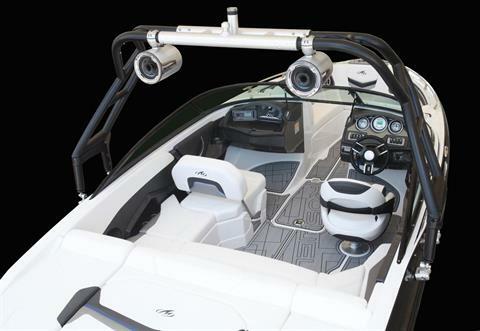 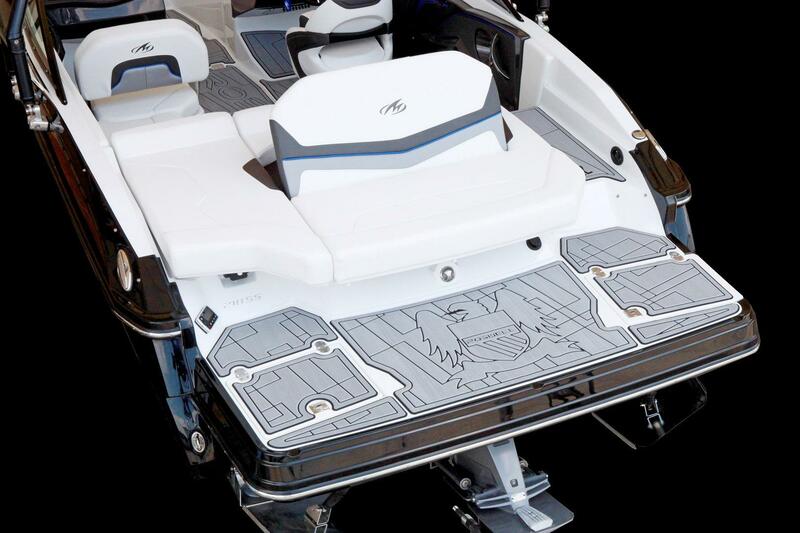 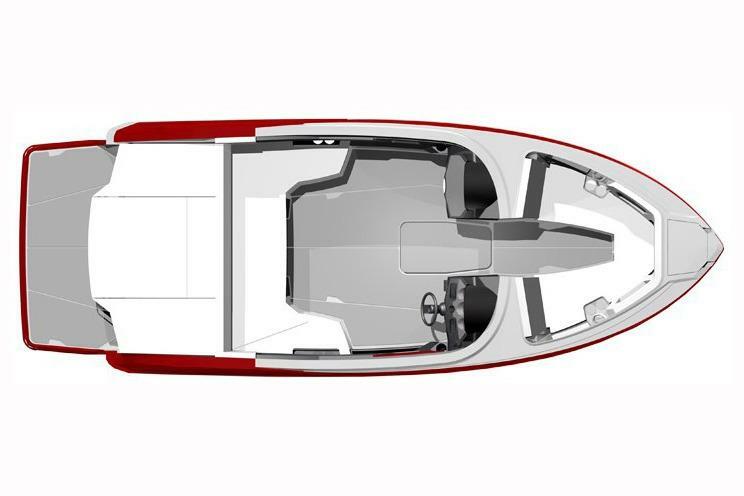 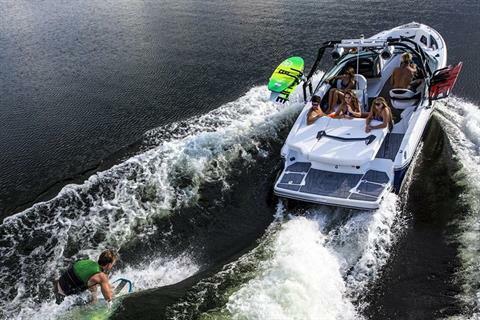 Factor in the newly designed graphics, metal flake gel coat options, specialized audio package and collapsible wakeboard tower with cam assist and wakeboard/surfboard racks and you have a design that creates a perfect wake-surfing and wakeboarding experience.